Guided reading involves the decoding and interpretation of a text. Guided reading is concerned with the teaching of reading; it is not just about hearing children read. There should be a specific focus and learning objective for the reading session. Guided reading includes not only the decoding of a text, but also the understanding and interpreting of that text. Students should engage with the text, critically evaluating it and reflecting on their responses to it, bringing prior knowledge to their understanding of the text. In guided reading, students develop the skills of inference, deduction, justification and evaluation. Children read independently in guided reading sessions. 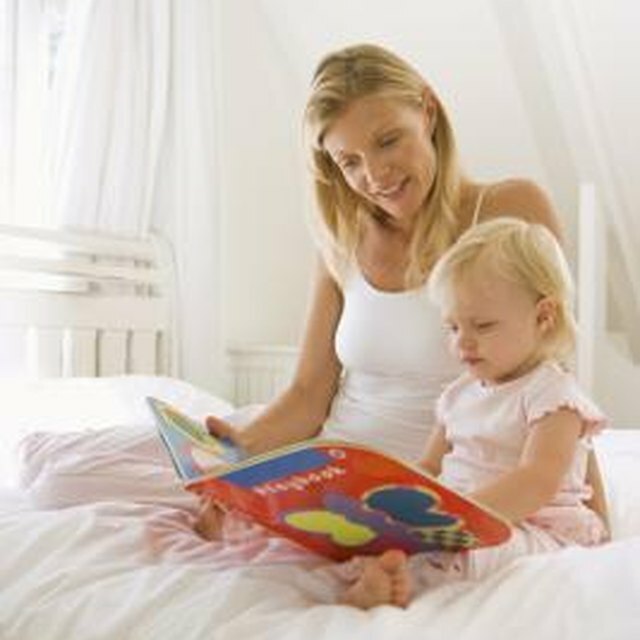 In guided reading, children are grouped according to ability and should be given books suited to that reading ability. The teacher uses multiple copies of the text, having her own copy and each individual in the group having a copy. 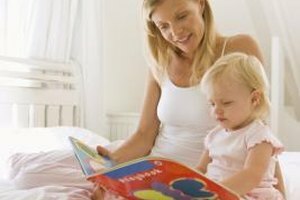 Children then read independently; not in unison or taking turns. After a certain point the teacher returns to the text and focuses on a specific teaching point. For younger readers this is likely to be focused on teaching children the use of various reading strategies; for older readers this teaching point will probably focus on analyzing and exploring the text. Guided reading has many advantages. It enables a teacher to spend some focused time with individual students allowing him to see how a student's reading is progressing and what areas need developing. Guided reading helps students to develop strategies to improve their reading and helps them to become independent readers while at the same time providing help and support from the teacher if needed. 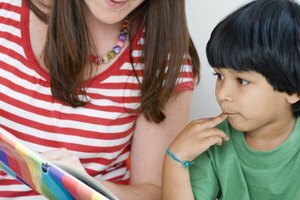 Guided reading also provides an opportunity for students to engage in dialogue analysis; they have an opportunity to discuss a text with others, communicating their own ideas and learning from the knowledge and ideas of other students in the group. Another advantage is that students are placed in a group with others of a similar ability. This helps to take some of the stress out of reading and can build confidence, increasing a student's motivation to read. Although grouping children according to their ability has its advantages, there is a negative aspect to this. Children develop at different rates and it is unlikely that every child in the group will be at exactly the same stage so a teacher may have to make compromises and place a child in a group with the best fit, which may not always be ideal. Time constraints can also have a detrimental effect on guided reading; it is important to allocate sufficient time to ensure that all students have sufficient individual attention during the session. This can cause another problem; while the teacher is working with the allocated group it is essential that other students are also working productively. This can be a difficult aspect of guided reading to manage. Also, the reading must serve a purpose. If the learning objective is not clear, the session will not have fulfilled its objective. Guided reading gives students the opportunity to read independently. In order to ensure that the benefits of guided reading are not undermined by the disadvantages, it is important that the sessions are well organized, focused and resourced. Ensure that guided reading sessions are not used as a time for group reading. The point is not for children to read in turn, but to read individually. Make sure that there is a clear, focused learning objective and that the session is geared towards this objective. Be flexible when grouping individual students and allow fluidity from one group to another. Choose appropriate texts and allow time to discuss the text. Make sure students not in the group reading with you have appropriate tasks to complete; if possible use an adult helper to ensure that the rest of the class is occupied constructively, allowing you to focus on your guided reading group. Williams, Alison. "What Are the Advantages & Disadvantages of Guided Reading?" Synonym, https://classroom.synonym.com/advantages-disadvantages-guided-reading-8405104.html. Accessed 21 April 2019.